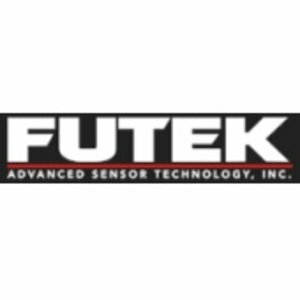 The IPM650 Intelligent Panel Meter is FUTEK’s solution that can be easily integrated to work with Load Cells, Torque Sensors and Pressure Sensors. 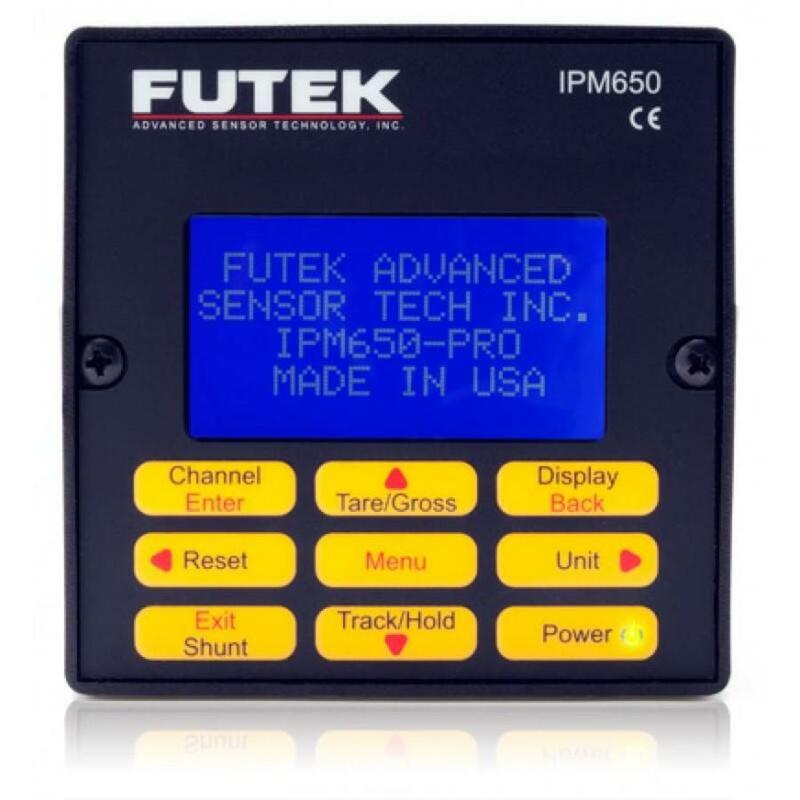 The IPM650 has an input range of up to +/-500 mV/V. Beside the mV/V input, device accepts amplified output sensors in range of ± 12 VDC or up to 30 mA. 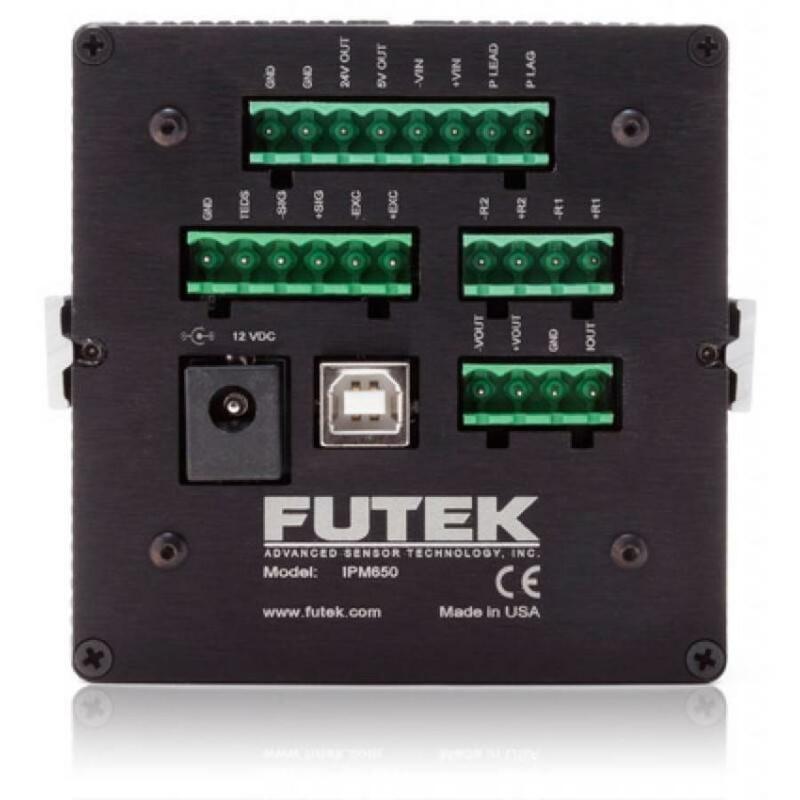 It also has two individual relays and two Analog voltage and Analog current output. 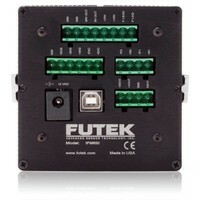 This device provides additional 24 VDC / 5VDC as power supply for sensors with built-in amplifier. 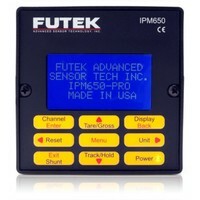 FUTEK’s Panel Meter also supports TEDS which makes it easy to switch between different sensors. A high speed/ low noise/ high resolution (24 bits) ADC is integrated in the device to make it suitable for high accuracy measurements. This particular Panel Meter also has the capability of displaying values onto a computer through a USB link.